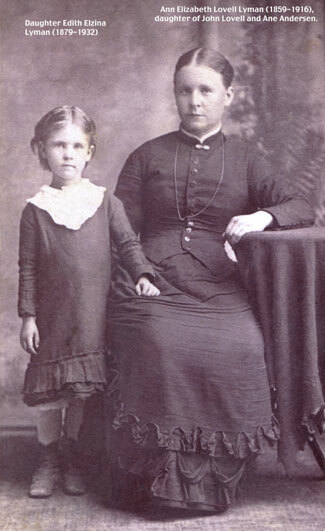 Ann Elizabeth Lovell was born 13 December 1859 in Fillmore, Utah and died 17 December 1916 in Oak City, Utah. Ann married Frederick Rich Lyman 6 December 1875 in Salt Lake City, Utah. Frederick was born 12 October 1856 in Salt Lake City, Utah. He died 4 Feb 1911 in Oak City, Utah.